Love the 2sxc module and I'm looking forward to the WYSIWYG update. 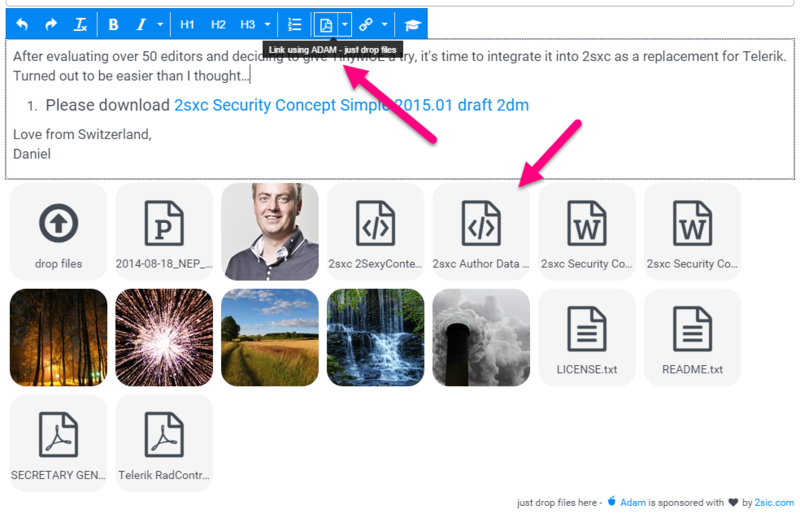 If the user is referencing an item that is used throughout the site, would they just need to be trained to use the DNN file picker for that and use ADAM for new one-off items in order to avoid lots of duplicate items? When I create a new App, I need the same screenshot in the catalog and in the blog. But I really, really want to duplicate this image, because I want to treat the blog as an own entity without dependencies on the app-catalog. On the other hand if I link to some pdf-contract-template from many places, I would not duplicate it.